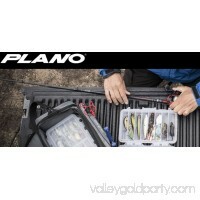 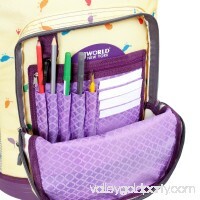 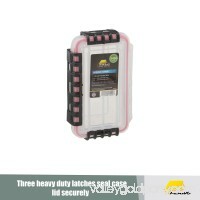 Keep all your fishing gear neatly organized with the Plano Magnum Guide Series 1444. 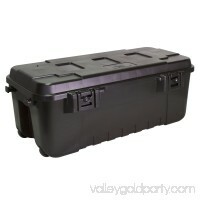 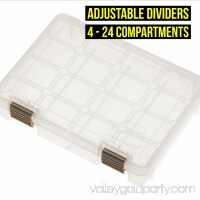 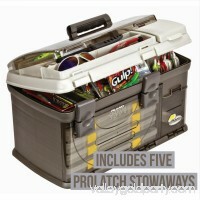 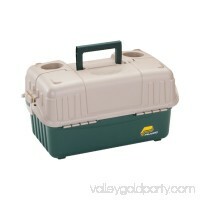 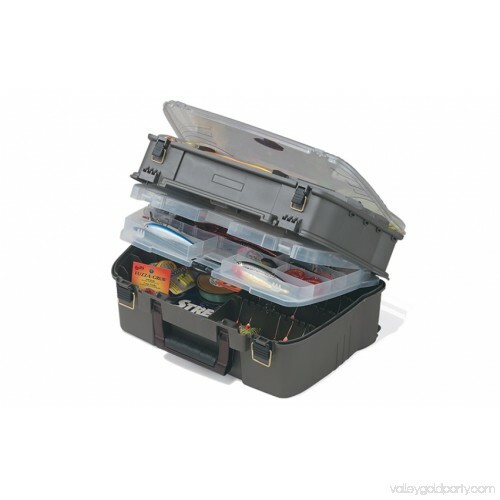 With four layers of storage, this fishing tackle box is designed to help you store large quantities of hooks, fishing line, lures, sinkers and other fishing essentials. 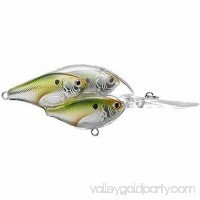 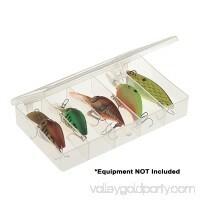 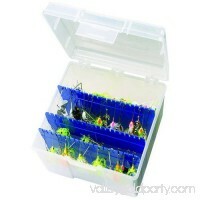 The racks in the bottom neatly organize spinnerbait lures, while mid-lid compartments store smaller items. 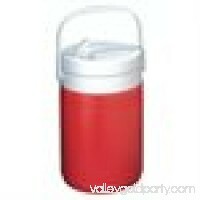 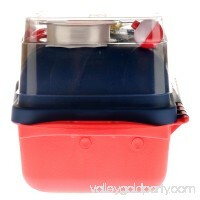 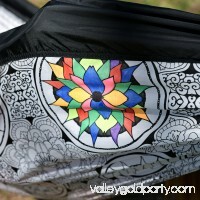 There is also an additional storage area under the top lid. 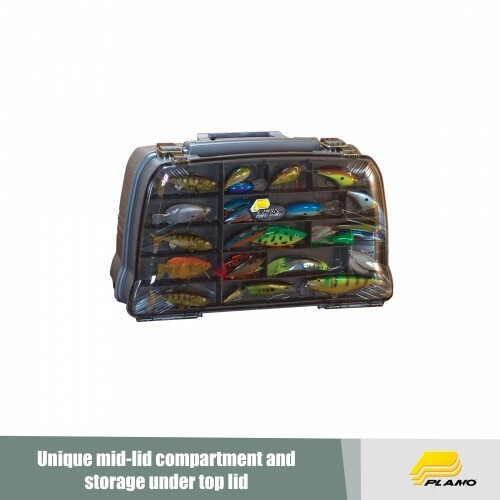 Dividable storage allows you to organize tackle based on your preferences, while the clear lid offers an unobstructed view of the contents. 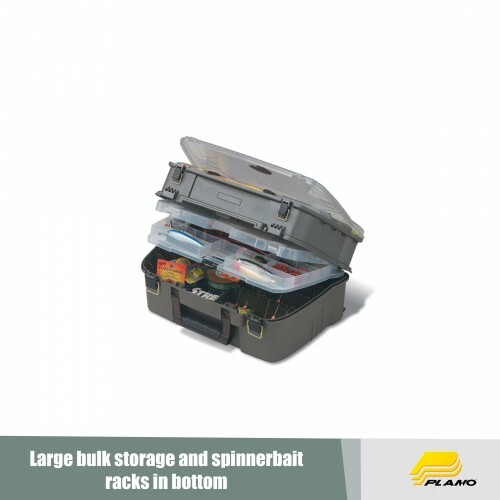 The Plano Tackle Box offers ample storage in one large box so you can grab all the pieces you need for your fishing trip at once. 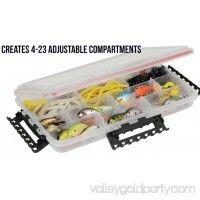 The over-molded handle and brass-bailed latches offer security to your tackle and provide comfort as you travel to the water.